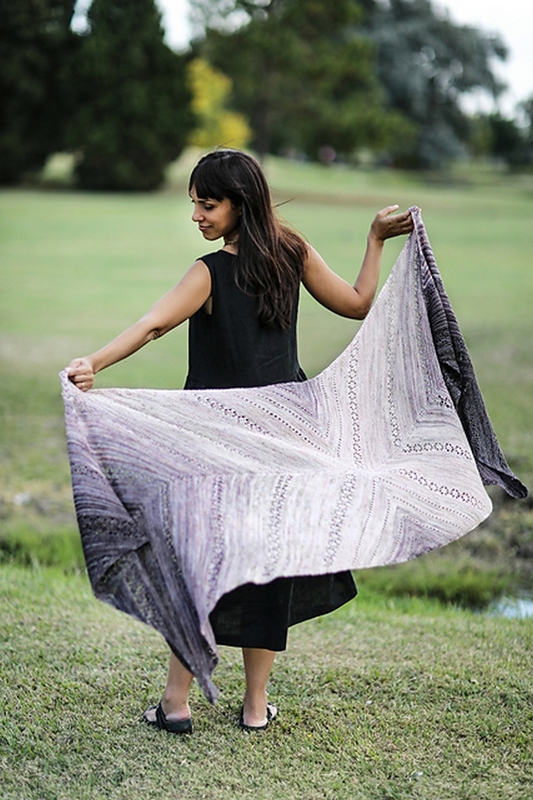 These beautiful palettes were carefully curated by the color experts at SweetGeorgia, specifically for Joji Locatelli's Fading Point Wrap. Five different skeins fade one to the next, from dark to light, subtle to vibrant, and solid to speckled. You pick which color goes in what order. Each wrap will be one of a kind, and the possibilities are endless. 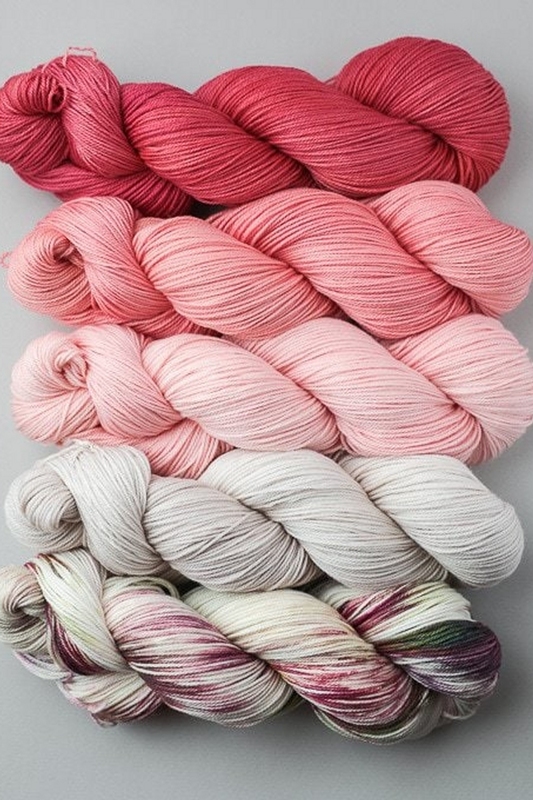 Each kit includes 5 skeins of Tough Love Sock, at 425 yards each, for a total of 2125 yards. Please note that the pattern is not included. 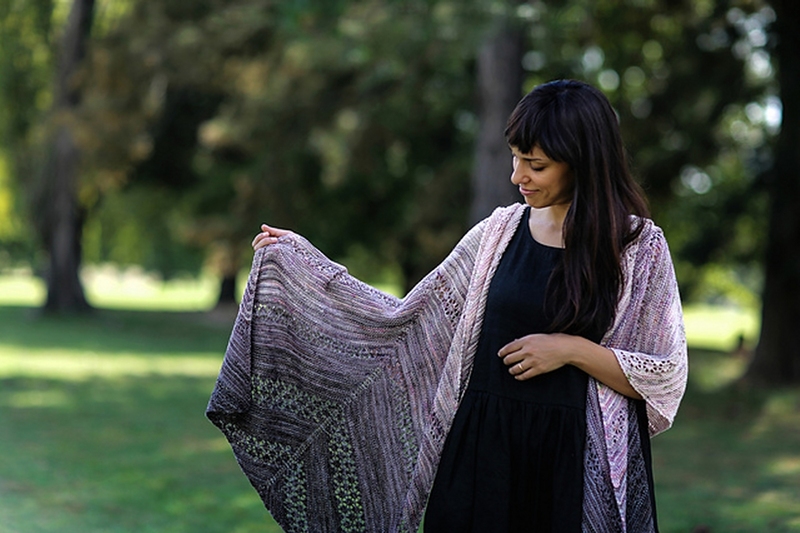 To make this gorgeous wrap, grab one of our pre-made kits and head over to Joji's Ravelry page to purchase the pattern. Colors: Nightwatch, Lupine, Bluebird, Fizzy Water, Summer Skin. Koigu Color Kits and SweetGeorgia Tullameen Mystery Knit-Along Kits are both similar kits: intermediate difficulty.